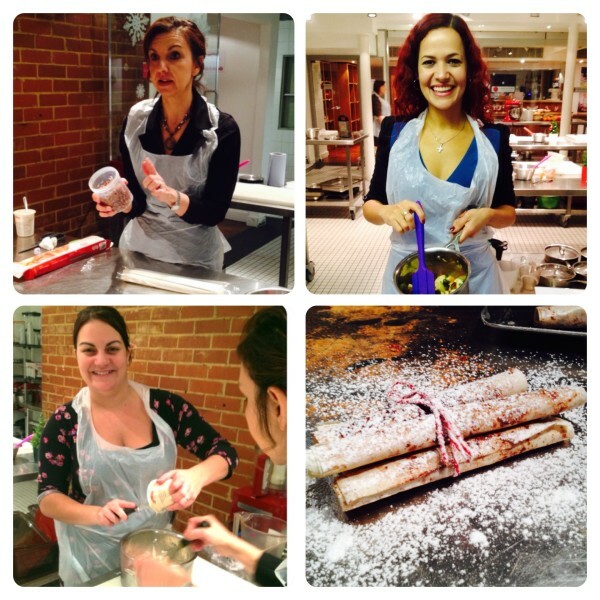 A few weeks ago, I was invited to a Baileys Cream Dessert Masterclass to celebrate the launch of the new Baileys Dessert Creams, where we enjoyed an afternoon of dessert making fun. Baileys Irish Cream has a new range of Baileys Cream, Baileys Original Pouring Cream and Baileys Dessert Sauce, an extra thick cream. During the masterclass at L’Atelier des Chefs, we made two recipes created by food innovator Janey Green from Slice of Slim: Baileys Creamy Custard Fruit Brulee and Baileys Cream with Chilli Chocolate and Sour Cherry. Baileys Creamy Custard Fruit Brulee is a spiced crème brulee with apples and dates infused with tangerine and basil, topped with Baileys Cream Vanilla Custard, finished with a brulee topping. 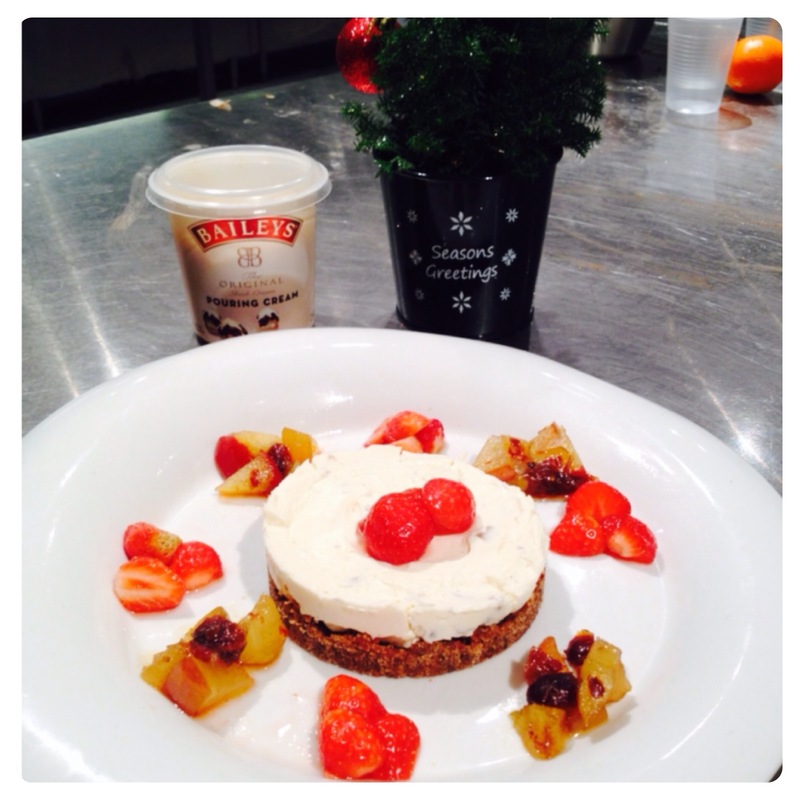 The fruit base was easy to make and very tasty, it was complemented nicely with the Baileys Original Cream custard. Such a lovely winter dessert! We also made Baileys Cream with Chilli Chocolate and Sour Cherry, filo pastry cinnamon sticks served with warm dipping sauce made with chocolate, cherries and Baileys Original Cream. Not only the cinnamon sticks parcels looked and tasted lovely, they were perfect with the spicy Baileys chocolate sauce. Both recipes were extremely easy to make and very tasty. Once the desserts were done, we took part in an Express Dessert Challenge, in which we paired up to create a recipe using Baileys cream. The lovely Alice from An Essex Wife and I made a Festive Cheesecake with Baileys Pouring Cream, I served mine with spiced apples and dates and rum strawberry pieces, while Alice served her cheesecake with a lovely chocolate Baileys sauce. Thank you very much for inviting me to such a lovely event, it was great fun creating desserts with Baileys Cream, I will be trying them at home soon. I was under no obligation to write this post, just wanted to share my experience. The opinions expressed in this post are honest and my own. 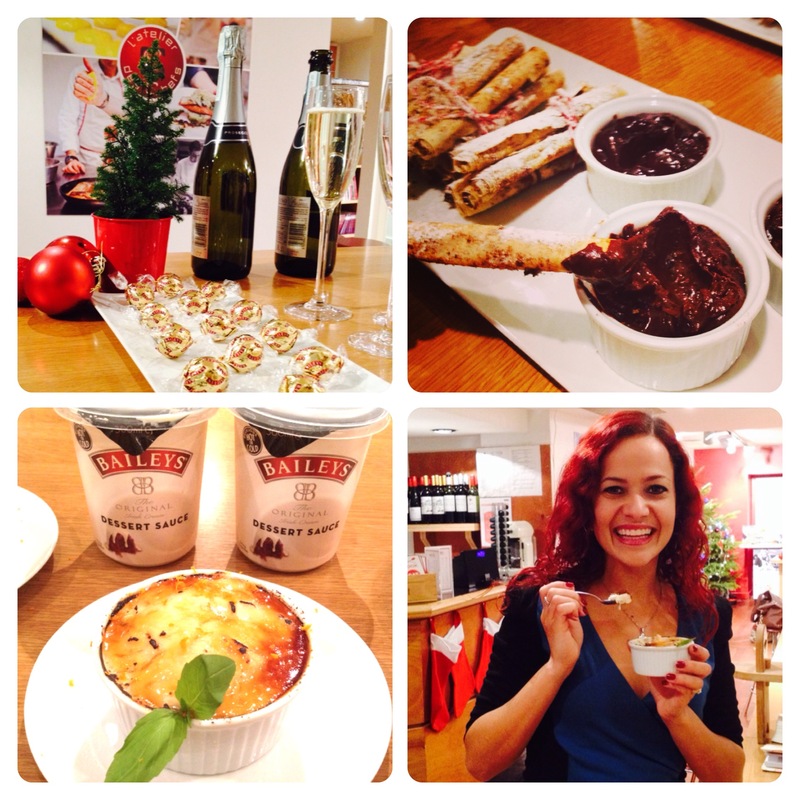 27 Responses to "Baileys Cream Dessert Masterclass"
That all sounds like pure heaven, I adore Baileys! So Jealous – I LOVE Baileys!!! This reminds me of Richard’s donuts in the Great British Bake Off. A liqueur that can be drunk or eaten in a dessert? Now, that’s special. 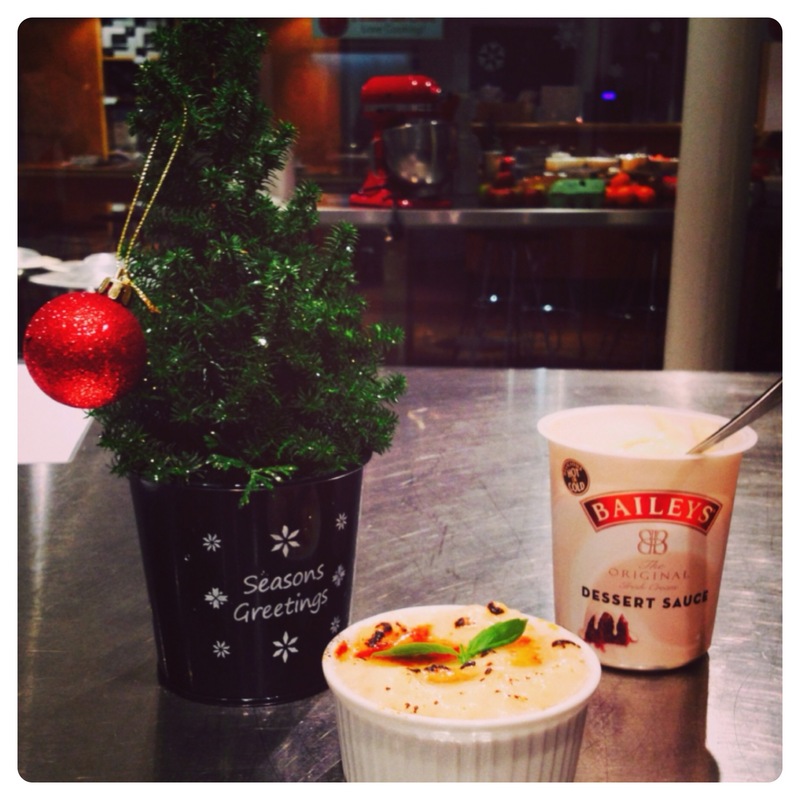 I love Baileys and buy the cream and sauce at Christmas. The sour cherry recipe sounds gorgeous, I hope I remember to give it a try! Everything sounds amazing – i love baileys! Bailey lovers absolute dream here, what an amazing experience!